This is potentially a thread of blog enteries, with a new category to link them. The starting point of this was an idea I thought to send to the New Scientist ‘Last Word’ column, which was that the development of humankind, and ‘civilisation’ does seem to rely upon rather a lot of accidents of evolution. But the idea grew and grew. Personally, I expect that some form of life will be discovered somewhere else in the solar system. It won’t necessarily be anything complex at all, but as life exists in so many extreme environments here on Earth, why should it not evolve in similar environments elsewhere? However, on the face of it, one problem is the lack of any evidence so far of ‘intelligent’ life elsewhere in the universe. So I will also describe what I mean by ‘Monumental’ life here. There are examples where the Great apes, and even parrots have learnt to communicate with humans, arguably beyond mimicry or conditioned responses to subtle cues – Alex the African Grey parrot famously so in English, but Koko the Gorilla, without the specialisations in the airways to make the relivent sounds, does so in American Sign Language. For my purposes, ‘Monumental’ here means the sort of works that makes humankind stand out – the monuments. Anything like Stonehenge, the Pyramids of Giza, or, to a more limited extent, buildings, motorways, and even land-fill sites. 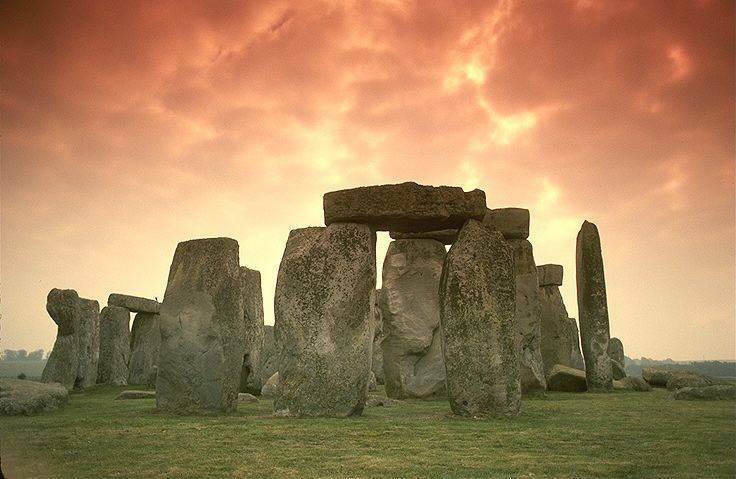 Stonehenge, Wiltshire, England. Still around after at least 4,500 years. Essentially, I refer as a ‘Monument’ anything that, were humankind wiped off the face of the Earth tomorrow, a traveller from elsewhere, arriving a short time later would realise that these were not naturally occurring objects, but the product of some organisation, some intelligence. I have therefore decided to call the organisation that made such things – that is, in this case humankind, ‘Monumental Life’, life that make objects or monuments that outlast the lives of the creators, often by orders of magnitude. I aim to develop this train of thought in later blog entries. It occurred to me that the ‘meme’ of Alex, Koko and Dolphins have potentially managed to achieve Monumental status by becoming so frequently referenced by Humans in their media – and potentially in longer lasting formats. I don’t mean that a statue to Alex will be raised soon.